Hydrangea is beautiful flower with a large bloom. The bloom is made up of little clusters of flowers and offers a mix of bright and soft tones, which allow the flower to stand out. 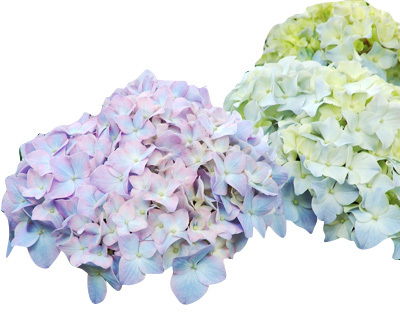 Fresh cut Hydrangea will enhance the beauty of your wedding bouquets or floral arrangements. Get the shipment of our farm fresh Hydrangea at bulk rates.